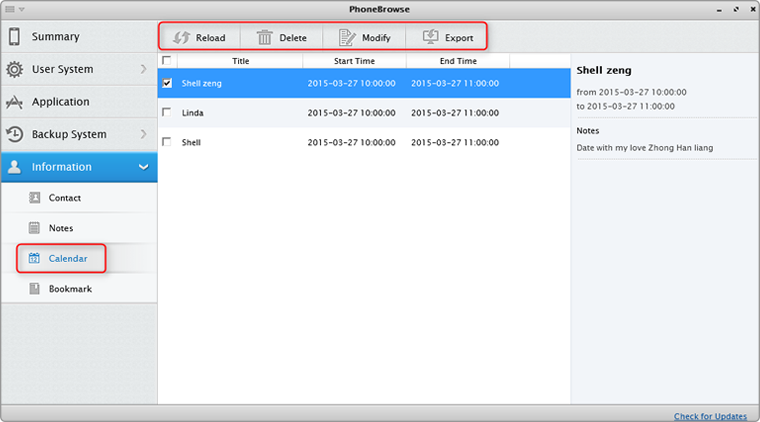 PhoneBrowse is available to delete, modify and export your calendar to computer. 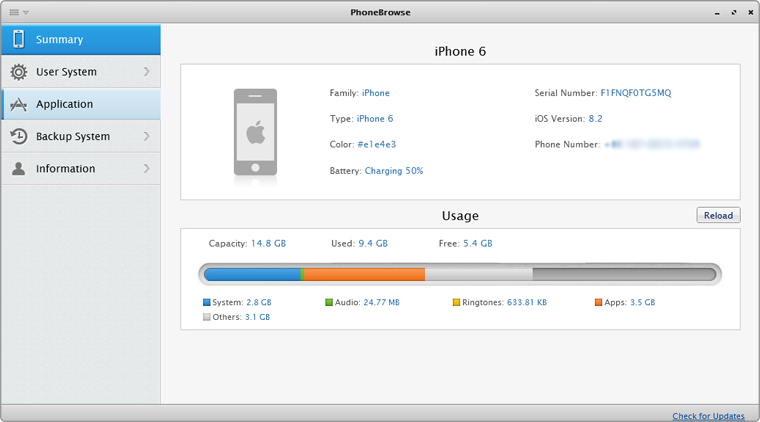 Step 1: Please launch PhoneBrowse after connecting your device to computer, and then you will enter into PhoneBrowse main interface. Step 2: Please select Calendar icon to enter into this interface. It enables you to delete, modify and export calendar to computer. 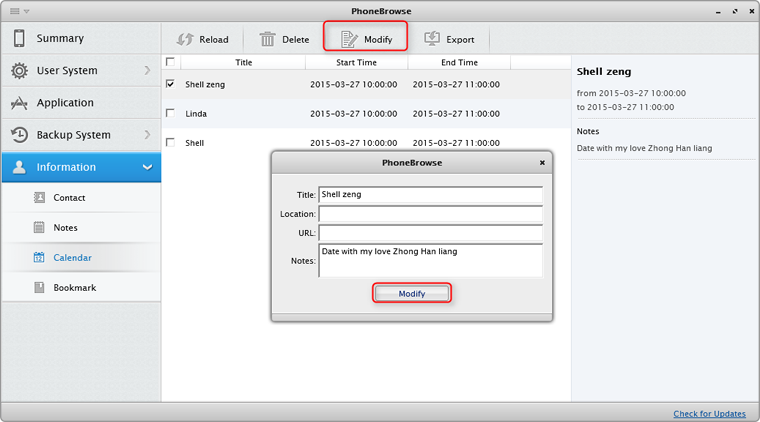 If you want to modify calendar on PhoneBrowse, please refer to this picture.